Santa Claus talking to the children at the table. 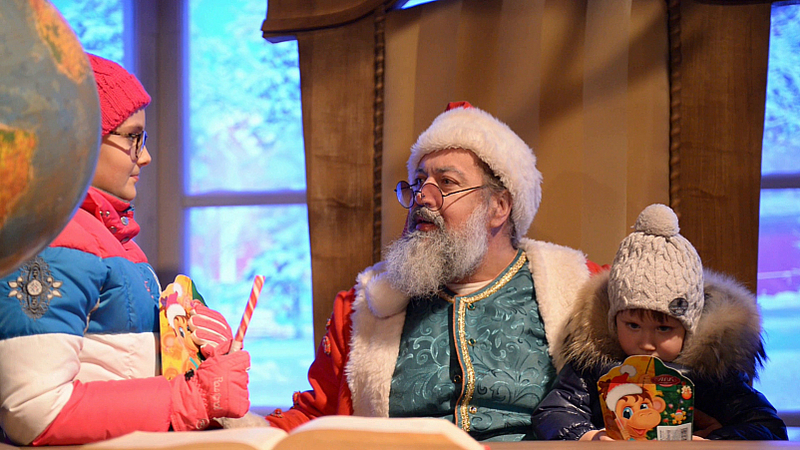 Children talking to Santa Claus. The girls pulled the beard of Santa Claus. Train costs about skating rink on the Christmas tree background. Two snowmen dancing in front of the camera. Man in a snowman costume dancing in front of the camera.